This may just be the epitome of baby chick luxury: A coop made out of vinyl repurposed from old movie billboards. 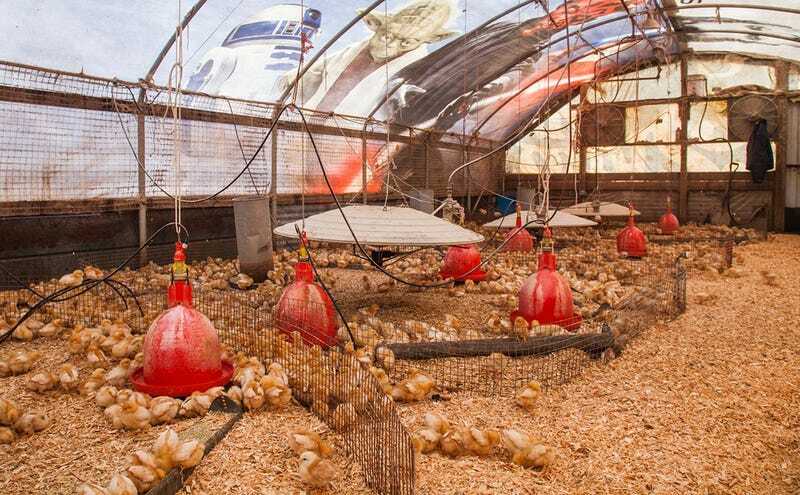 The Oregon poultry farmer responsible for this spectacular feat of ingenuity, Mark Anderson, uses the colorful barn as a shelter for chickens in the first phase of their lives. And the accompanying photographs on Modern Farmer are spectacular.